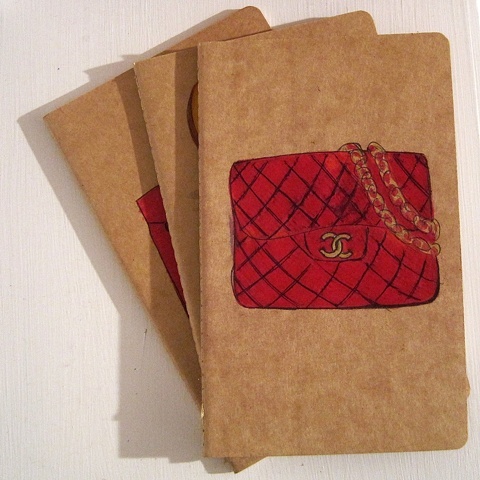 A classic Chanel bag illustrates the cover of a genuine Moleskine Journal Great for pulling out of your purse, whether it's a Chanel or not! I think this is also going to make a great gift, if the lady in your life is desperate for a Chanel, and you can't quite stretch that far this year. I've left some space for text, so that I can personalize this Notebook for you!